I love Thanksgiving. All the family, all the food, how can you go wrong?! Kids don’t always have the patience to sit through a long meal. Sometimes they need a little extra entertainment and activities. 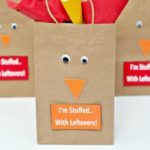 These little Thanksgiving turkey activity bags are a fun and easy activity to entertain the kids. 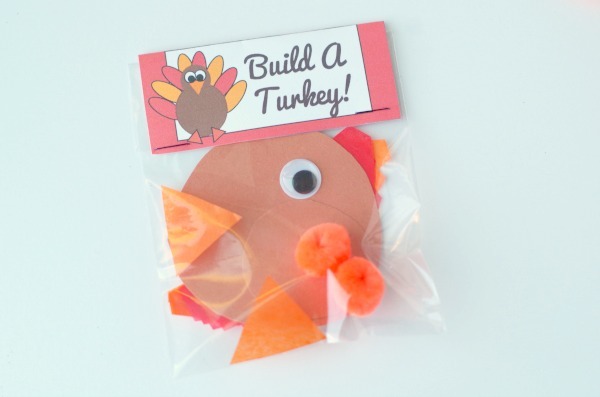 You can also use play doh or pom pom balls to build a turkey. I used what I had which was paper and they turned out so cute! 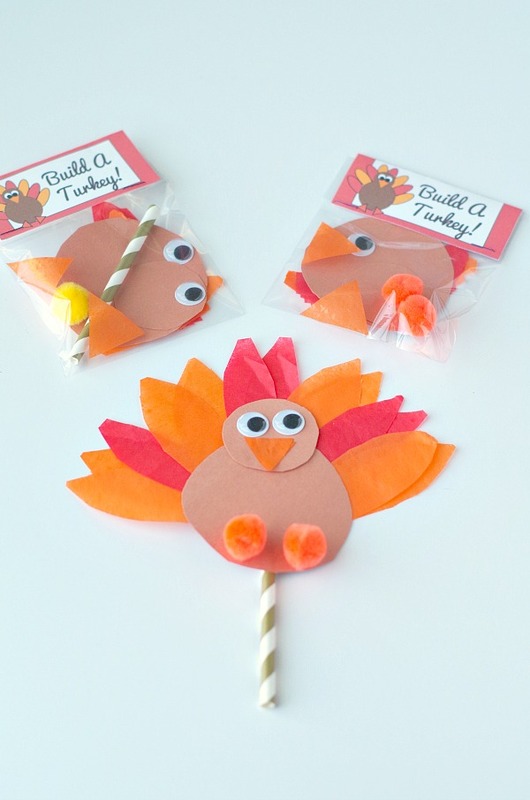 These are also a fun nonfood Thanksgiving thing to give out to friends. 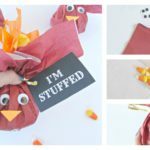 The bags are easy to put together and easy for kids of different ages to make. 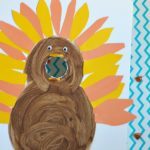 My daughter is 5 and she had a blast with this activity. 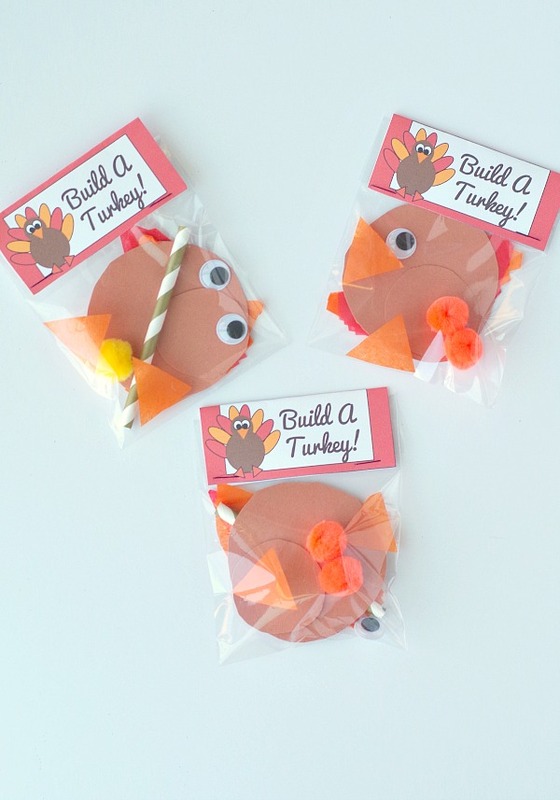 Put all of the turkey making materials in a small cellophane or ziplock bag. 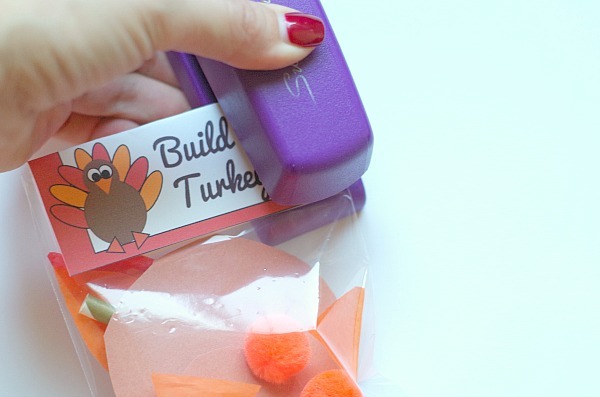 Print out the labels and cut them out. 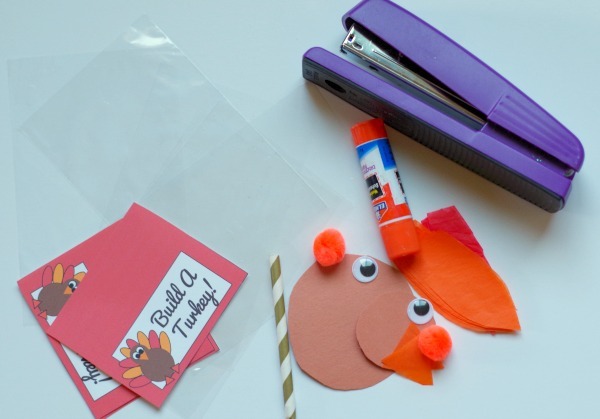 Fold label over the top of the bag and staple on both sides. Cute and easy just the way I like it! 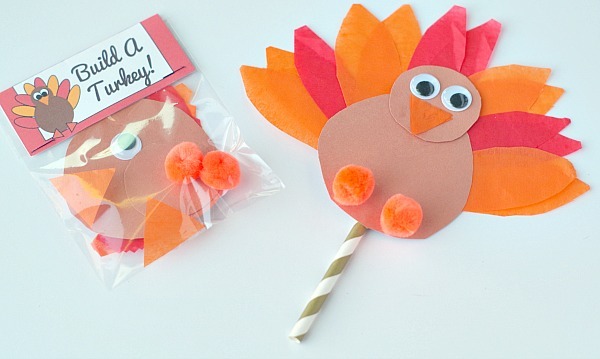 You can get creative with what materials to use to make your turkeys. 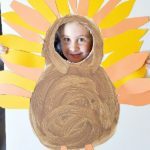 My daughter also made a fun one with pink feathers and feet. 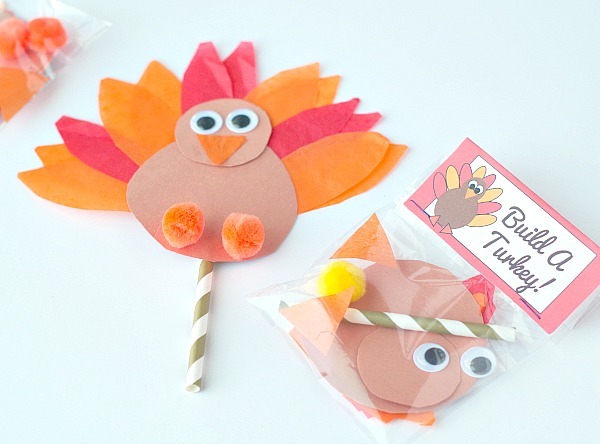 Then the kids can play with them as puppets. 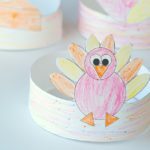 I came upon your blog while looking for something for my little guys at preschool for Thanksgiving. 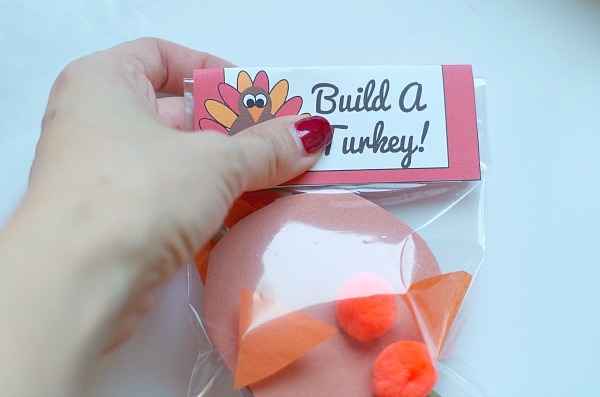 Can you tell me where I can find the “Build A Turkey Label”? 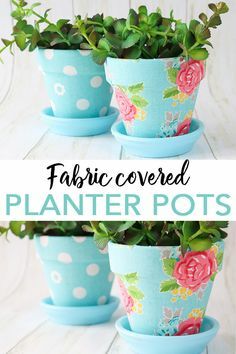 I love love love this idea! Thanks so much, I added in the link to the printable, sorry I missed it! 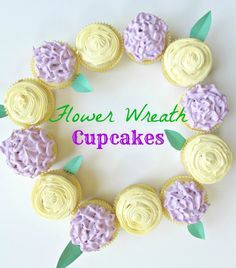 How to make a flower wreath out of cupcakes! 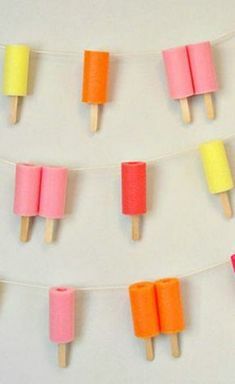 This is such a fun way to present cupcakes for a spring party or Mother's Day!